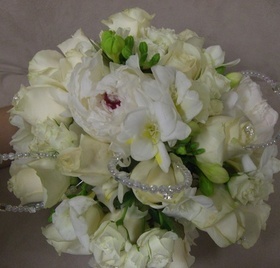 Description:Combination of roses and freesias in bouquet holder. Might or might not have peonies in it. Colours can be changed.